Iranian President accuses US of seeking regime change in Iran. 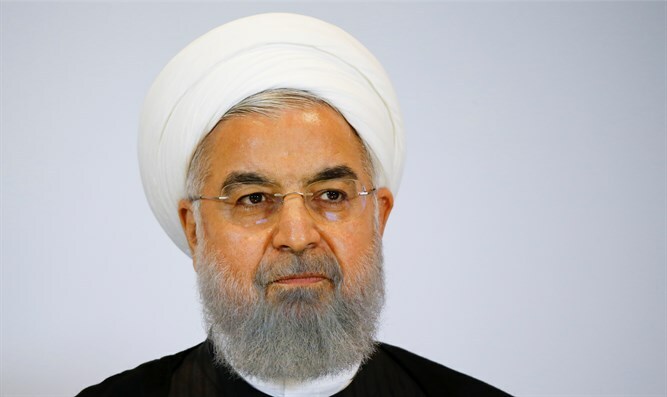 Iranian President Hassan Rouhani on Sunday launched a scathing attack on the United States, saying the Trump administration is the most hostile towards Iran in the last four decades. Rouhani also accused Washington of seeking “regime change” in Iran, according to Reuters, which quoted a speech made by the Iranian President and broadcast on state TV. “In the past 40 years there has not been a more spiteful team than the current US government team toward Iran, Iranians and the Islamic Republic,” Rouhani charged. “Reducing the legitimacy of the system is their final goal. When they say getting rid of, regime change in their own words, how does regime change happen? Through reducing legitimacy, otherwise a regime doesn’t change,” he said, using the English phrase “regime change” to emphasize his point, according to Reuters. Tensions have increased between Iran and the United States in recent months, following US President Donald Trump’s decision in May to withdraw from the 2015 nuclear deal between Iran and world powers. Trump then signed an executive order officially reinstating US sanctions against Iran. Additional US sanctions targeting Iran's oil and shipping industries will go into effect on November 4. While Trump has indicated he is open for talks without preconditions with Rouhani, the Iranian leader has dismissed Washington's call for new nuclear negotiations at the same time as it reimposes sanctions on his country.